Richard Killen & Associates, a Licensed Insolvency Trustee in Mississauga, has an office located on Dundas Street East near Hurontario Street. We provide debt relief services to residents of Cooksville, Streetsville, Mississauga and Port Credit areas. Killen has offices located all over the Greater Toronto Area (GTA). Consolidation loan companies and other financial institutions like banks are making their money based on commissions or the interest you pay them. A trustee like Richard Killen is not making commissions or other incentives to sell you a loan agreement. 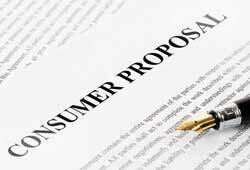 Only a licensed Consumer Proposal Administrator like Richard Killen can offer you a consumer proposal. Proposals are a growing alternative to bankruptcies, in fact in 2013 there were more consumer proposals filed than bankruptcies. Only a licensed administrator can advise you on the benefits and consequences of each solution. 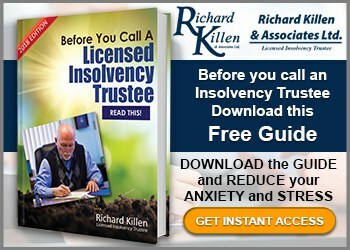 A Licensed Insolvency Trustee like Richard Killen is working on your behalf and not on behalf of a loan company or bank. 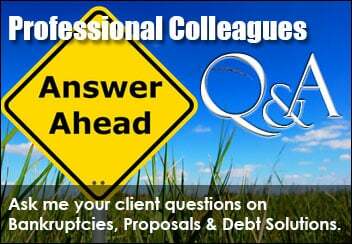 They are unbiased and can provide you with all the debt relief options, not just some. This way you can make the best decision possible as you will have all information you require to make an educated decision. We offer appointments through regular office hours as well as evening appointments for your convenience. The initial consultation is always FREE. If you are constantly stressed out everyday thinking about your debt and how to meet your monthly obligations, I encourage you to give us a call. We have assisted thousands of people like you to get back on track and get a new start. Talking to us does not obligate you to declare bankruptcy or anything at all. 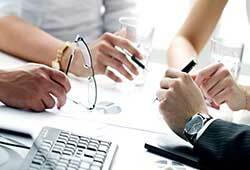 We will review your financial situation with you and provide you with the options available. It is your decision after that to choose a solution or do nothing. A call to our office today could be the most stress relieving call you will ever make. If you are like most people that come to our office, you will wish you had called sooner. 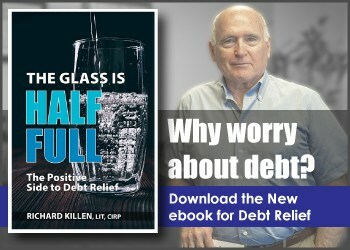 Richard Killen & Associates is a Licensed Insolvency Trustee in Mississauga, which offers debt relief services such as debt counseling, creditor negotiation, consumer proposals and personal bankruptcy assistance to the residents of Mississauga, Port Credit and Cooksville.